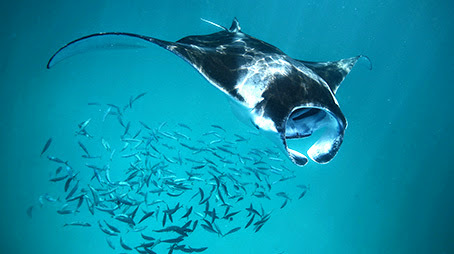 Anantara Kihavah Maldives Villas, located in Baa Atoll, a UNESCO Biosphere Reserve, offers guests the chance to get up-close-and-personal with manta rays at the world’s largest natural manta feeding destination, during their annual migration across the Indian Ocean. For the first time, guests have the rare opportunity to freedive with the gentle giants at the protected site of Hanifaru Bay, which can attract more than 100 rays around the time of the full moon. With the season well underway, guests still have time to witness the spectacle first hand before the end of November or to plan ahead for the next season which starts in May 2017. 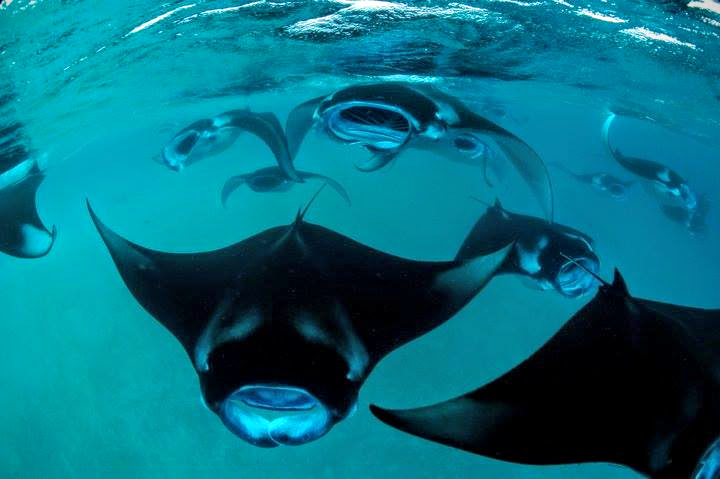 With a wingspan of up to 7 metres, manta rays congregate at Hanifaru Bay during the south-west monsoon and, with optimum wind and tide conditions, enter a shallow cul-de-sac in the reef to feed on microscopic plankton, small fish and crustaceans. The Anantara team works closely with the rangers who protect Hanifaru Bay to get the insider scoop on the mantas’ movements so that guests can quickly reach the site, which is located only 45 minutes from the resort, maximising their chances of spotting the rays. Scuba diving is not permitted so guests now have the choice of snorkelling or freediving. Hot on the heels of sister resort Anantara Dhigu Maldives’ announcement in May that it was opening the first PADI-accredited freediving centre in the Maldives, Anantara Kihavah is now also fully licensed. Whilst freediving has been popular in the Maldives for some time, the PADI certification offered by Elements, the water sports centre at Anantara Kihavah Villas, teaches divers proper breathing techniques and trains them on how they can enjoy the sport safely. Coasting through the ocean with flowing, graceful movements that echo the natural motions of the Mantas that surround, freedivers experience a sense of oneness taking the Maldives’ manta experience to an entirely new level. Closer encounters, liberating mobility and the ability to glide with freedom from scuba or snorkelling equipment enhance an already unforgettable outing. At the helm of Anantara Kihavah’s freediving centre is Talya Davidoff. A passionate, advanced freediving instructor, Talya is also a fully qualified marine biologist and a competitive freediver with a personal best of a depth of 42 metres. Adding even greater depth to her aquatic expertise, Talya will be undergoing training with freediving world champion, Alexey Molchanov, before the South African Championships in June next year. Talya and the Elements team at Anantara Kihavah Villas are dedicated to safeguarding the wellbeing and habitat of the manta rays and enforce the strict regulations that have been set by the local rangers. Known for its commitment towards sustainability and protecting the local environment, Anantara Kihavah Maldives Villas also launched a coral adoption programme when the resort opened in 2001. Over the five years to date, Anantara’s team has continued to enhance its reef initiatives to accelerate the regeneration of coral growth. Anantara Kihavah, which offers 79 spacious private pool villas poised overwater or nestled on a private beach, is located 30 minutes from Male by seaplane and boasts an abundant and colourful house reef of its own. For guests who wish to maximise their ‘bottom time’, SEA. FIRE. SALT. SKY. offers a one-of-a-kind over and underwater dining experience. To reserve a stay at the resort and experience the thrill of freediving with mantas, or to learn more about freediving, contact +960 664 4111 or [email protected]. 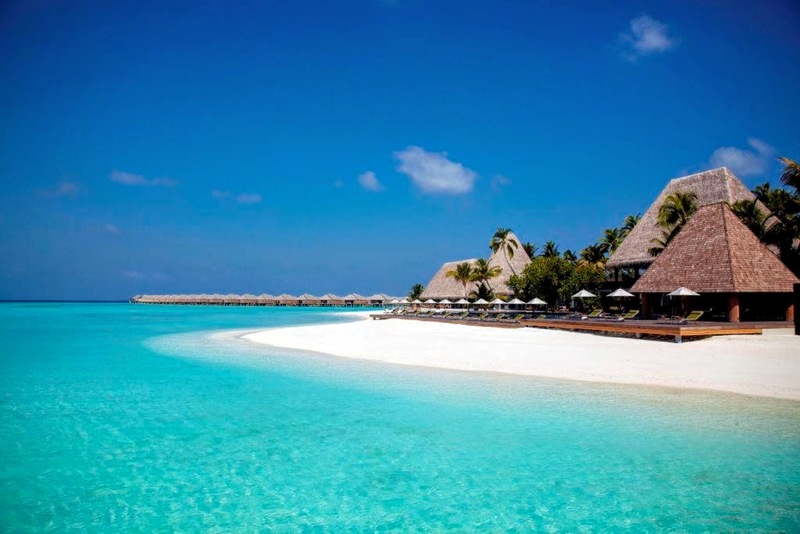 For more information on Anantara’s Maldives resorts, visit anantara.com.